A spicy Portuguese classic served with a side slaw made of cabbage, white onion and cucumbers. For the piri piri chicken: In a food processor, combine chiles, garlic, vinegar and salt. Pulse until everything is finely minced. With the machine running, add the ⅔ cup of olive oil and pulse until smooth. Set aside. 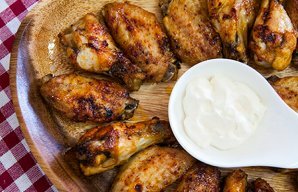 In a large bowl, toss the chicken with ⅔ cup of the piri piri mixture to coat. Cover the bowl and chill for about 30 minutes or preferably overnight. Cover and chill the remaining piri piri sauce. Prepare a grill for medium-hot heat or place a grill pan over medium-high heat. Thread 4 to 5 pieces of chicken onto each skewer. Using a pastry brush, coat the grill with the remaining tablespoon of oil. Grill the chicken, turning and basting often with the remaining ⅓ cup of sauce, until the chicken is cooked through and charred in spots, 12 to 15 minutes. Meanwhile, make the cabbage and cucumber slaw: In a large mixing bowl, toss the cabbage, cucumber, onion, mint, olive oil, lime juice and zest. Season with salt. 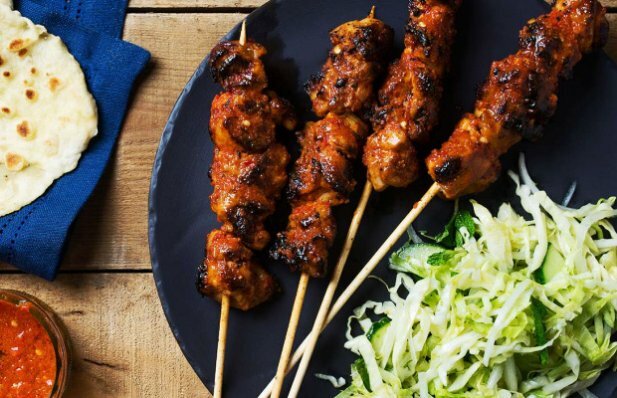 To serve, divide the chicken skewers, slaw and flatbreads among 4 plates. Serve the remaining piri piri sauce alongside for dipping. 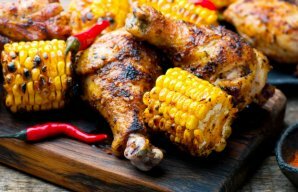 This Portuguese Nandos style piri piri chicken recipe makes succulent and super crispy chicken drumsticks, perfect for sharing. Serve with corn on the cob.